For some reason, I feel as though the eclipse of August 21, 2017 has a special importance, especially for the United States. I do not live in an area where I will see the eclipse, but I do live in the United States, which has been in a lot of chaos. Perhaps I am so interested in this particular eclipse because chaos almost always precedes change, and the United States has had a lot of chaos lately. 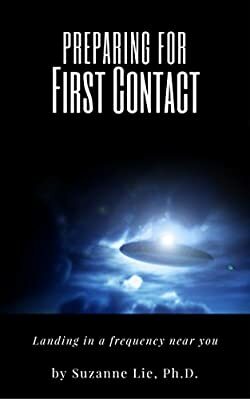 I will present some information from the Net for the reader first, then put your Arcturian response below that. • A solar eclipse happens when the moon passes between the Earth and the sun, causing the moon to temporarily cast its shadow on Earth, appearing to darken the sun. • The sun is 400 times larger than the moon, but it is also approximately 400 times farther away, making the sun and moon appears the same size during an eclipse. Solar eclipses are not uncommon. They happen about twice a year. But total eclipses are only visible to those in the path of the moon’s shadow as it crosses the Earth. A total solar eclipse has not been visible from the United States since 1979. Not many people witnessed that eclipse because the path just clipped five states in the Northwest and the skies were cloudy. The centerline will cross 12 states, but everyone in the continental Unites States will see at least a partial eclipse. Nashville is the only large metropolitan city that will experience the total eclipse. Portland will see a 99 percent eclipse and Atlanta will see 97 percent eclipse. Half of Kansas City and half of St Louis, Missouri, are in the path of the total eclipse. Only those in path of the total eclipse will experience seeing the sun’s corona, the bright ring around the edge of the moon’s shadow, and stars in the daytime. As the moon moves in front of the sun, several bright points of light, known as Baily’s Beads, shine around the moon's edges. They are the sun’s light rays streaming through the valleys along the moon's horizon. GreatAmericanEclipse.com estimates that more than half a million people -- and possibly as many as 2 million -- will flock to South Carolina to see the eclipse. South Carolina is expected to see the huge influx of visitors because it will be the nearest spot within the path of totality for at least 100 million Americans in the Atlantic Seaboard and Florida. The centerline of the total eclipse across South Carolina is 251.1 miles long. The average width of the path of totality across South Carolina is 71.5 miles. 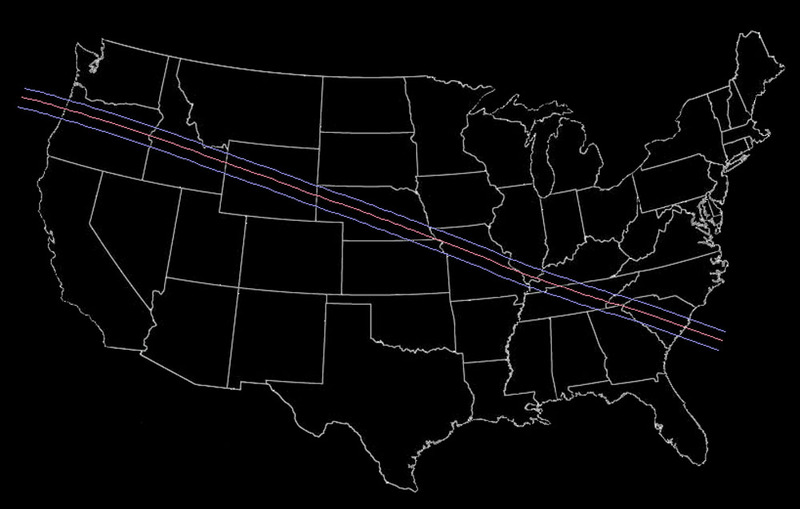 The eclipse will cross the United States from Oregon to South Carolina in 94 minutes. The states in the path are Oregon, Idaho, Wyoming, Nebraska, Missouri, Illinois, Kentucky, Tennessee, North Carolina, Georgia and South Carolina. The total solar eclipse will enter South Carolina at 2:36 p.m. and leave the Atlantic coast at 2:49 p.m. The last two total solar eclipses visible from South Carolina were on March 7, 1970, and May 28, 1900. Meteorologists say there is only a fair chance of clear skies in South Carolina at the time of the eclipse; so many people are expected to relocate to find clearer conditions as the time of the eclipse approaches. In northwestern Europe, the eclipse will only be visible as a partial eclipse, in the evening or at sunset. In the rest of the UK, Norway, the Netherlands, Belgium, France, Spain, and Portugal, sunset will occur before the end of the eclipse. In Germany, only in the extreme northwest the beginning of the eclipse might be visible just at sunset. 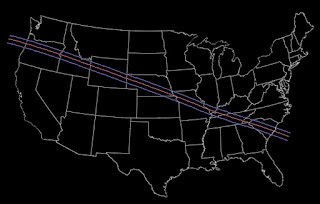 In all regions east of the orange line in the map, the eclipse will be invisible. Only those in the path of the total eclipse will experience seeing the sun’s corona, the bright ring around the edge of the moon’s shadow, and stars in the daytime. Everyone is always creating their reality via their “choice of perception.” For example, one could choose to look at their unpaid bills, which they have no way of paying. This perception will likely make them very sad, depressed and even defeated. On the other hand, if they chose to look at the bills they have chosen as the most important bills, and the ones they have paid, they will feel happier and more inspired to find a way to pay the rest of the bills. In other words, when one chooses to put their attention onto the challenges of life, rather than the rewards of life, they will feel helpless and depressed. On the other hand, if you just look at the few bills that you could pay, and take a moment to deeply understand how you found a way to pay those bills, you can expand that creativity and self esteem to make you feel even better. “But how do I control my thinking?” we hear many of you asking. The answer is the same. What you choose to perceive has a great deal to do with controlling your thinking. For example, if you direct your attention on a problem, your problem will expand. However, if you place your attention on the solution for that problem, you will feel more in control of your life. In other words, you have already you convinced yourself on, “Yes I CAN.” Release the tag on lines such as, “This door is too big to open,” and return you perceptions to the “inner image” of yourself opening that “symbolic” or “real” door. Whether or not you can open that door is less important than the fact that you have perceived that door, not as a barrier,” but as something you WILL be able to open. With that positive message to your self, your mind and emotions will calibrate to find the solution. On the other hand, if you had perceived the door as something that you could never open, there would be no reason to try to open it. Therefore, your self-perception would be of yourself, walking away from that door because you could NOT open it. You are always perceiving your self, whether or not you are aware of it. If you are not aware that you are perceiving/watching your self, the opinions that arise from your perceptions will be stored in your unconscious mind. Therefore, you will forget your perceptions, as well as anything you could have learned from them. Let us now address the eclipse. If you chose to perceive the eclipse as, “Big deal. Eclipses have never changed anything about me or my life.” Then you have denied yourself the opportunity to experience a “unity of perception” that is very rare in such a large and diverse country. On the other hand, if you choose to tune into the energy field of all those who can perceive and who are choosing to perceive the Eclipse, you have allowed your perceptual field to join into the collective consciousness of all those who are watching, and/or thinking, about the Eclipse. Yes, your thoughts are very much a component of your “perceptual field.” For one thing, if you do not think about the Eclipse, you will not remember to put yourself in a situation where you CAN perceive it, or place your attention on the fact that thousands of people are able to see the Eclipse and have chosen to go outside and look at it. You might say, “Just because they all saw it, doesn’t mean I can. I am not in the path of the Eclipse.” Yes, that is true that your physical body may not be in the path of the eclipse. However, there are many people who can see it, at least for a moment. Therefore, all you need do is to place your attention on your own inner perception of the Eclipse, or on the television or computer screen. Why do you do that? Because “what you think about, you bring about.” Even though you were unable to perceive this event, your consciousness was focused on the same thing that thousands of other people’s consciousness is focusing on. Therefore, you have chosen to perceive a group energy field. With so many people placing their thoughts and expectations on the same thing, you have joined into a group energy field that was created by so many people gathering to experience the event of the Eclipse. This degree of Unity Consciousness goes beyond time and/or space. Therefore, you will NOT see the Eclipse at the same time zone, or from the same place as others who perceive it. However, you have joined into a group energy field of people, from different places and different time zones, who have chosen to direct their perceptual field on that event. In fact, you may watch it on television, or on your computer, as these machines will allow you to direct your perceptual field into the same energy field that thousands of others are tuning into. It is this unity of “choice of perception” that is important. Even the people who will actually be able to perceive the Eclipse within the same time zone and at the same place, will all have different lives, ages, and histories. Therefore, everyone will be looking through their own perceptual field, which has been created from all their interests, manners of thinking, reasons for watching, or even those who are not able to perceive the Eclipse at all, but are directing their thoughts and attention onto the same thing as many thousands of others across a very large country. “We, the humans on Earth, are able to choose to look up into the sky without fear or superstition. We, the humans of Earth, are becoming evolved enough to unite our consciousness on the same event that travels across the entire country, starting at one of the last states to be colonized, Oregon, and ending at one of the first 13 colonies, South Carolina. While everyone is “looking into the sky,” perhaps they will see our Starships that will fly a bit lower to be more recognizable. In fact, what if the eclipse brought in the New Age of full disclosure that we, the members of your Galactic Family, are constantly with you. We have come within the NOW because YOU have called us. Just as humans no longer believe that an Eclipse is an omen for the “end of the world,” more and more of them are fully aware that we, your Galactic Family, are here in your skies ready and willing to assist you, if you ask. MY LATEST BOOK IS ON AMAZON AND DOING GREAT. WE WOULD LOVE IF YOU WOULD BUY THE BOOK, THEN RATE IT ON AMAZON AFTER THAT. 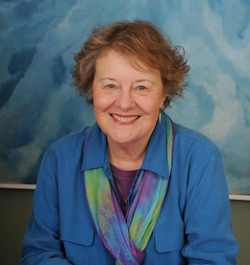 You've bought books from this author before, and you won't want to miss this new release. This must be faith.I'm in the southern hemisphere and I watching the solar eclipse happening right now!But its night time on this side of the world right now, so maybe that makes a Lunar eclipse! Whoops! !False alarm guys I dont think its an eclipse.Whatever it was it only covered 1\5 th of the moon for a few hours then disappeared.I think it was the Earths shadow. I believe that the Sun is 3,000 miles above the Flat Earth like the Moon. The Moon does not burn up because the Sun is not hot in the sky. It is the rays of the Sun in our atmosphere that cause light and heat.